Hey babes! A long time ago I hauled a lot of Freedom products and I finally got around to photographing and reviewing everything! Freedom is a budget cosmetics brand that is sold on Boozyshop and I had never heard of it before I saw it on there, I've already posted my Freedom Star Wars Lipsticks but those disappointed me a little bit, keep reading to find out my thoughts! This first product is actually a free gift I got with one of my orders, I wouldn't really pick out this nail polish colour for myself but I might be able to use it in some nail art. 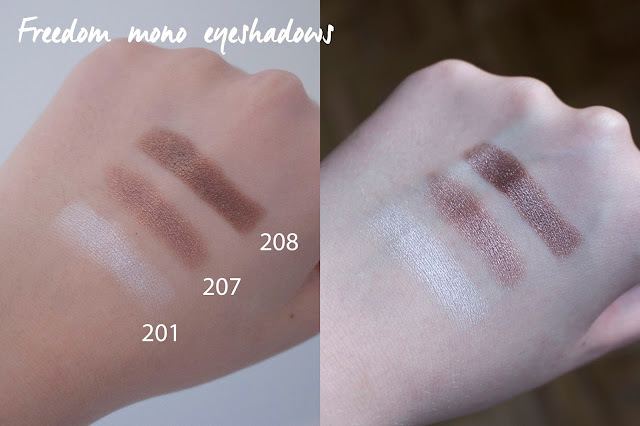 I was pleasantly surprised by these single eyeshadows, the light pink shade has been my go to eye look finisher. And the pigmentation of these is super intense, they're quite creamy as well. The lipsticks were quite disappointing, I didn't expect much after my Star Wars Freedom Lipsticks review, they apply streaky and aren't very pigmented. 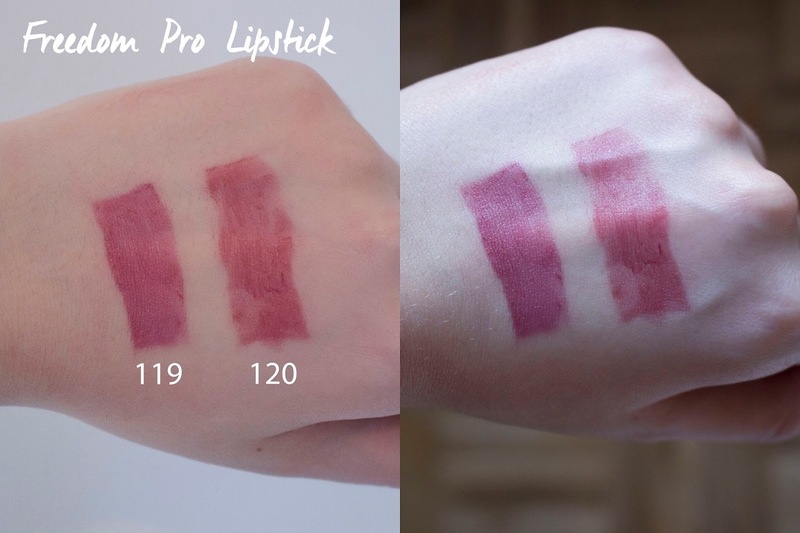 They're not long wearing either which makes them more like a tinted lipbalm, which would be fine if they weren't so streaky. The contour kit is comparable to the W7 contour kit which I actually like! The size of these pans is larger and it has a great mirror as well. The powder is pigmented but not creamy so it's great to use after applying some setting powder if you have oily skin. The blush palettes are so beautiful, I'm not a fan of all of the colours but I can use them when I do makeup on other people. They are crazy pigmented and are as bright and dark as they look in the pan which is great for darker skintypes! This Pro 32 – Jewels and Riches Collection palette has become a go to palette for me which really surprised me, the colours are quite chalky but they apply easily with a brush, they blend like heaven and there are matte and shimmer colours. They don't last as long as I would like them to but they don't crease or have fallout so I don't mind a little fading. I would suggest using a sticky eye primer with these. I'm actually really surprised by Freedom eyeshadows! I wouldn't purchase any more of the lipsticks but I definitely recommend getting an eyeshadow palette if you're looking for budget eyeshadow! I was really excited for this budget make up post, too bad I don't wear anything but lipstick and the freedom lipsticks aren't that good..
Mooie producten! 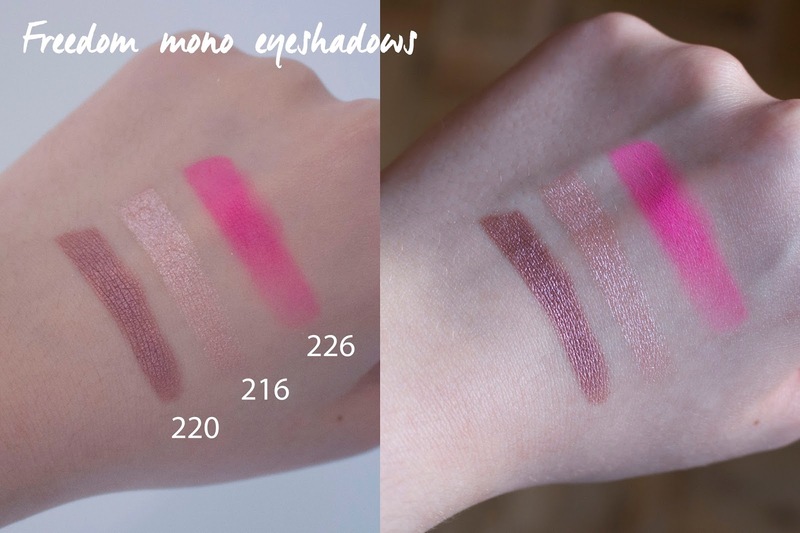 Vooral de blush palettes lijken me mooi, ook handig om mee te reizen! I never tried freedom products before but the swatches do look okay for that price.